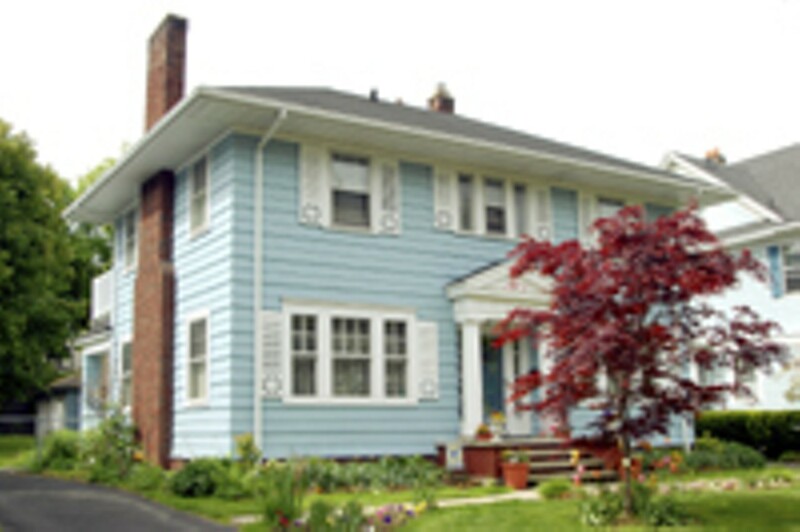 Magee Avenue is a broad city street in the historic Maplewood neighborhood, with a wonderful variety of very well cared for and architecturally interesting homes. Mature trees line the street and the properties are attractively landscaped. It is a most welcoming neighborhood. This lovely 1,896 square foot home on 37 Magee Avenue reflects gracious 1910 city living - inside and out. 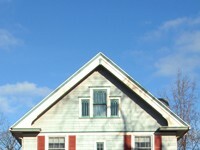 The current owners, who are reluctantly relocating, have carefully maintained this house and you will find it in pristine condition. They found the original abstract and learned that they are the 5th owners since it was the Vanderbeck farm. The distinctive Vanderbeck house, in the Second Empire style, still stands around the corner on Lake Avenue. The columns at the front door give a formal feeling as you pass through and step back to 1910. Your eyes take you immediately ahead to the staircase with a graceful railing and a stained glass window at the landing level. 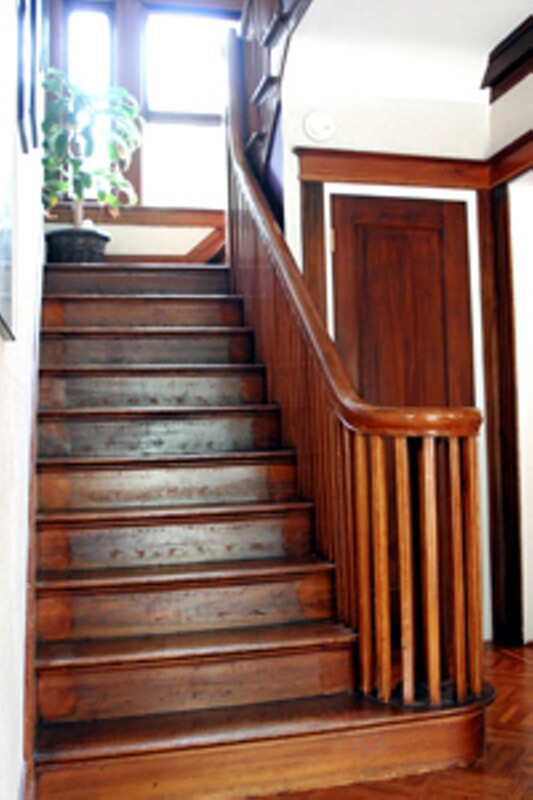 Preservation is evident throughout - the original parquet floor in the foyer, hardwood in the living and dining rooms, and natural gumwood trim. 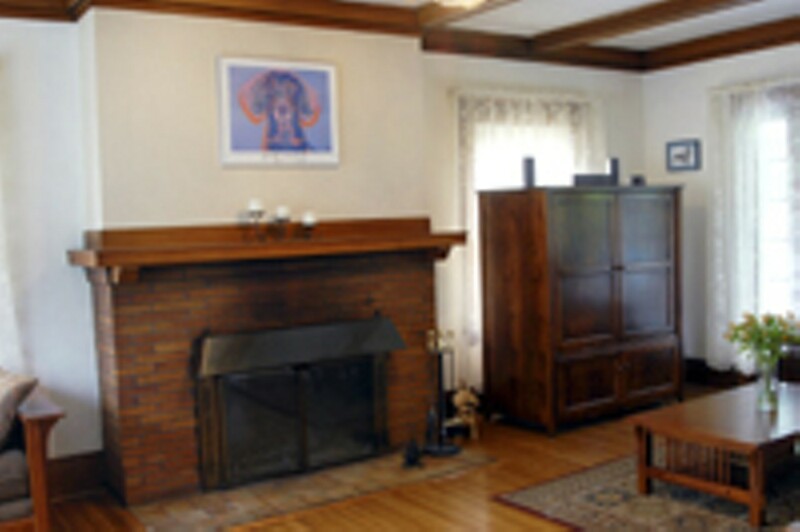 The living room, with a wood burning fireplace, original windows and hardwood floors, is to the left of the foyer and extends to the back of the house. There you can step through a French door that leads to an outside porch for quiet retreat. The very private yard is enclosed, with a two-car garage at the rear. Entering the kitchen from the living room, there are stairs that lead to the backyard and to the basement. The fully updated kitchen with tile floor, double oven, and stainless refrigerator, is bright from the large window over the sink that gives a full view of the backyard. You’ll want to linger as you sit at the counter in this great kitchen. The formal dining room is large and bright and again, preservation is evident with the original hardwood floor, windows, and gumwood trim. This is a lovely room for family meals and entertaining. The central hall at the top of the stairs opens to four generous bedrooms with natural gumwood trim and also a full bath. Reflecting 1910, the hall has linen closets, a laundry chute and the door to the attic. The attic is clean and dry and offers good storage. The basement has a laundry area, partially finished room, bath and 7 year new mechanicals. Air conditioning is an added bonus. This four-bedroom 1910 Colonial Revival style house situated on a 0.25-acre lot at 37 Magee Avenue offers you preservation at its best. The price is $127,900 and taxes are $3,331. A prime preservation question is, “Would the first owner still recognize this house?” The answer here is a resounding “yes”. 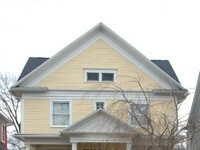 You can see this property on line at www.rochestercityliving.com. Please contact Helga Das through her Nothhnagle Realtors® office at 585-381-0502 to learn more about this special property. 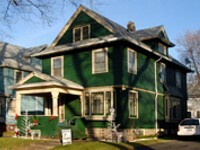 See other great houses at the Historic Maplewood Home Tour on Sat. June 17th from 11:00-4:00. Advance tickets are $10 for general admission; $7.50 for seniors and $5 for groups of 10 or more. Call 458-3460 ext. 7 to order. Sharon Pratt is Member of the Webster Museum Historic Properties Committee and a Landmark Society volunteer.